Big Screen purists can start warming up for another bout of indignation because The Circle is the latest new movie to get an initial release on the streaming service Netflix. It is a high profile film with an impressive cast comprising of hot right now actors Emma Watson, John Boyega and Karen Gillan and Hollywood reliables Tom Hanks and Bill Paxton and it is an adaptation of a successful novel. On this occasion though there is no reason for anyone to get their knickers in a twist about the future of cinema because it’s not very good. It doesn’t have the quality and originality of Okja, Netflix’s big release from last month, it is more like The Discovery and Adam Sandler’s last three films. The Circle, like these movies, should be going straight online because they are exactly the kind of thing that a few years ago would have gone straight to video. They look good on paper but the execution leaves something wanting. The Circle is not terrible. Like The Discovery it has some smart ideas and good performances but just like The Discovery it could have been so much better with a more proficient director. In this reality though it is predictable (young person gets dream job and quick promotion in idealised company but eventually fights to expose her employers dark secrets), it is cliched (best friend in the company is jealous of her assent and lets herself go, swapping the business suit for a dowdy hoody and forgetting to do her hair and make up) and it is low on tension. The story revolves around twenty something Mae who starts working at/for The Circle, a huge tech company that seems to be an amalgam of Facebook, Apple and Google. Essentially it is a web and hardware provider that connects people, monitors their activities and provides info and services and it seems to be taking over the world. Participation is optional but non-engagement is greeted by passive aggressive peer pressure, at least for those on the company campus, and pretty soon Mae is well and truly caught up in the web. There are shades of both Black Mirror and The Truman show here and a more astute vision could have turned this into powerful satire or social commentary. The film deals with issues such as internet addiction and rampant commercialism and is almost a modern day 1984 where Big Brother is not the government but the corporations. None of its potential is realised though and what we actually get is a diverting but formulaic pulp thriller. The cast are all good although it is sad to see Bill Paxton and Glen Headley as the protagonists parents, both of them having passed away in the last six months. Paxton is particularly strong as a sufferer of multiple sclerosis. None of the line up needs changing but director James Pondoldt does not harness their performances well enough. Not even Tom Hanks, as the company head, can save proceedings. 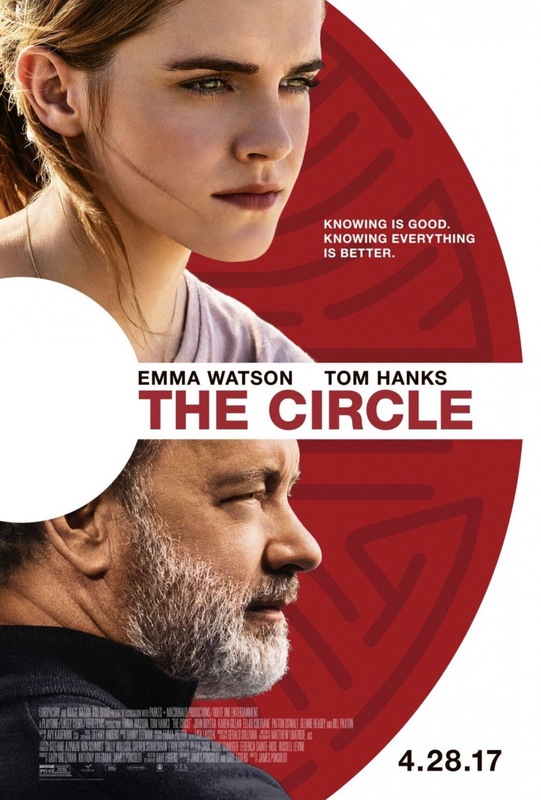 To be fair The Circle is perfectly watchable but you just can’t help wondering how great it could have been with a David Fincher or a Paul Greengrass behind the camera. Is this one for the kids? The film is all fairly tame. There’s nothing here to upset even though there should be. Netflix have rated it 12. The Circle has a female lead which is good. She drives the plot, she has agency and she has realistic flaws but she is also used by the men around her, both altruistic and devious. Unfortunately her eventual rebellion against those that have manipulated her is one of the many parts of the film that lacks the punch it really needs.